A Smoky Mountains map is helpful to find your way around. Some vehicle navigation systems and GPS units may provide inaccurate information driving through the peaks and valleys of the mountains. 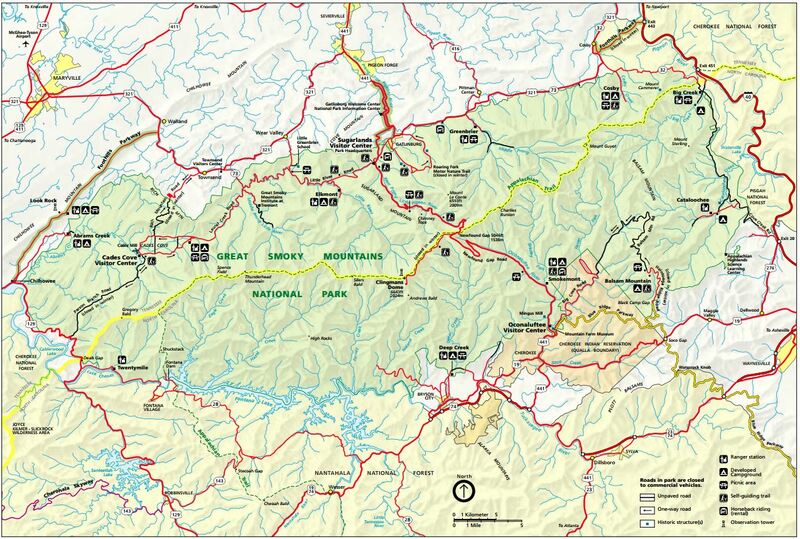 Use a separate Smoky Mountains map for driving and hiking so that you have the most details available. 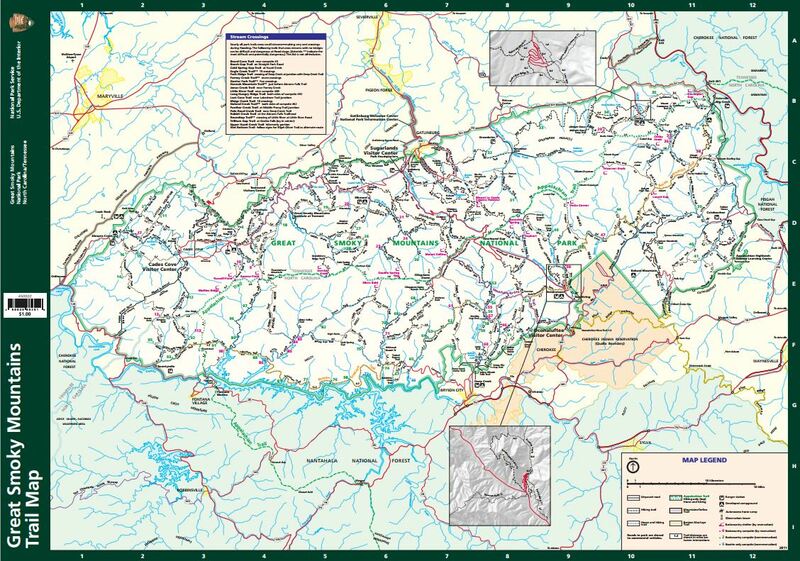 Great Smoky Mountains National Park visitor centers have both types of maps available. In the winter, check for updated road closings, as Clingmans Dome Road to the observation tower is closed during the winter months, and occasionally in early spring and late fall depending on weather conditions.